So now I’m in London getting ready for this meeting, and one of the Very Interesting People from whom I’ll be learning and I are watching the scroll on the silenced TV in the hotel lobby to see one fact roll by: Qaddifi has distributed arms to a million Libyans. Smart move, my interlocutor says. Why? ask I — doesn’t this just destabilize the country further, threatening him as much as anyone else? Yes indeed says my new teacher. That’s the point. As explained: Qaddafi knows that can’t engage in a contest of strength. He faces an overwhelming force and so he can’t just roll up his opposition. Stalemate weakens him. He doesn’t want to end up like Ceausesco, dead against a wall, ridiculed and reviled. He wants at a minimum what Saddam Hussein got — martyrdom of a sort amidst the chaos of a country that has become ungovernable, a state that rebounds to the discredit of any successor regime. This is of course the classic choice of crappy outcomes solution. I have no idea what could possibly produce what some impartial observer might call a good outcome — either for Libyans or in the realization of actually articulated and reasonable ends for the U.S. It certainly seems to this non-expert observer that we pursue intervention on the harp seal model: cute megafauna get protected, snail darters don’t. But it’s at least arguable that it would make sense to intervene in cases where that rise to the level of media-consciousness even if no realpolitic interest is genuinely at stake — if and only if we can demonstrate that such intervention actually stands a good chance of producing a better outcome than the present situation. Sheer awfulness is not sufficient, in other words, if the results do not include a lasting reduction in horrible outcomes. First: that there are all kinds of ways for the best intentions to go pear-shaped, and we may already be witnessing one of them here. Second (and I find this one consoling, in a depressing kind of way): there are plenty of very smart members of our national security apparatus who understand this. I have to tell you the most impressive thing to me about this hotel-lobby conversation was the sheer speed with which my conversational partner seized on the skill of Qaddafi’s manouver, and its potential for lasting mischief. Me talking, not those I talk to — but this is genuinely important. Folks on the ground have actually learned a lot from Iraq and Afghanistan. That these lessons do not always reach either end of Pennsylvania Avenue is a problem — the problem I would say. And with that — it’s off to learn something else, depressing no doubt. 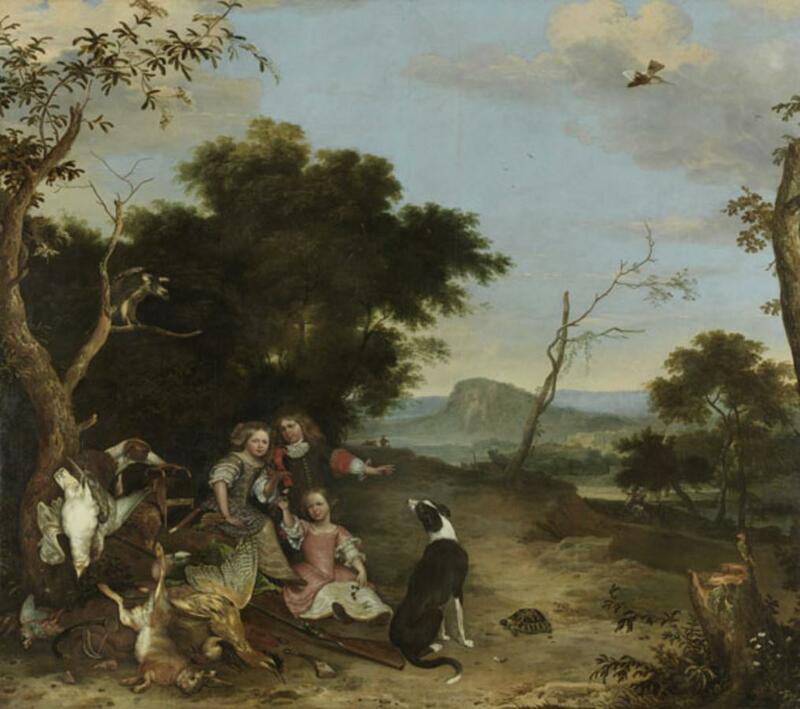 Image: Melchior de Hondecoeter, Bildnis von drei Kindern in einer Landschaft mit Jagdbeute (translation help, anyone? ), 17th c.